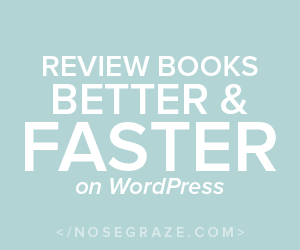 A copy of this book was provided by the publisher for review via NetGalley. In New York City, 1897, life has never been more thrilling – or dangerous. Sixteen-year-old Finley Jayne and her “straynge band of mysfits” have journeyed from London to America to rescue their friend Jasper, hauled off by bounty hunters. But Jasper is in the clutches of a devious former friend demanding a trade-the dangerous device Jasper stole from him…for the life of the girl Jasper loves. Forewarned by my experience with The Girl in the Steel Corset, I started this book early in the evening, knowing I would finish it in one go. The Girl in the Clockwork Collar is every bit as compelling and nuanced as its predecessor and I love the thrilling adventure it offers. What begins as a simple rescue missions turns very quickly into a dark and sinister affair that not only places Griffin and his team in danger, but threatens all of New York. In this book we see the growth of the key characters while their relationships and trust in one another are tested. The sometimes tenuous bonds that bind Griffin’s motley group into a family are tested when they adventure to New York to help Jasper. Kady Cross continues to write complex, believable relationships for her cast. Her characters are each driven by different motives but still hold one another in the highest regard, and while this causes conflicts within the group, they learn to trust each other a lot more throughout the book. Once again the world building leaves me slightly disappointed. There are still a lot of modern conveniences available to the characters, under the guise of Aether driven machines, and they started to annoy me. I did, however, enjoy the addition of Telsa as one of the characters in this book because he came alive as the eccentric (probably stark raving mad) genius inventor. The behaviour of the female characters once again left me mystified. Even in New York, outside the influence of the society they normal instil themselves in, they should behave with proper decorum. Finley sleeps without a chaperone in the houses of different strange men on three different occasions, and sees fit to traipse around New York in men’s clothing at one point. Throughout the book it is implied that genteel ladies regard Finely as a woman of loose character, but she doesn’t seem bothered by it. In the least she should worry how her reputation reflects on that of Duke Griffin King, her host. 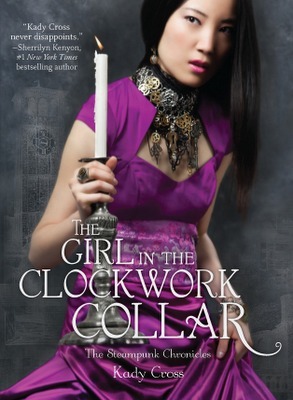 Aside from the unusual freedom Cross gives her teenaged characters, I thoroughly enjoyed The Girl in the Clockwork Collarand recommend this series to anyone who wants to read some quality YA steampunk. I eagerly await the publication of the next book in this riveting series. I saw this series when I was in a bookshop recently and I didn’t even pick it up off the shelf. The cover really doesn’t sell it for me. Sounds interesting though, might have to give it a read.